One of iOS’ finest video games – Real Racing 2 – has arrived for Android today. Details and download link available after the jump! 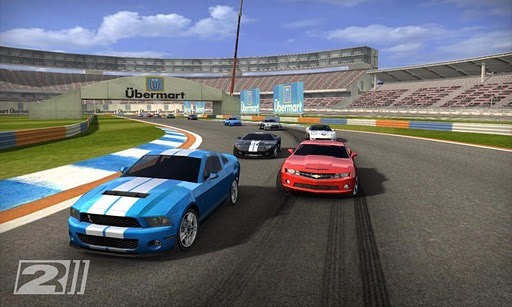 Real Racing is a series of racing simulation video games developed by Firemint. It’s first entry was released on iOS devices back in 2009. For its time, it had some of the best graphics and smoothest gameplay on a mobile platform; it was one of the most critically acclaimed iOS games. 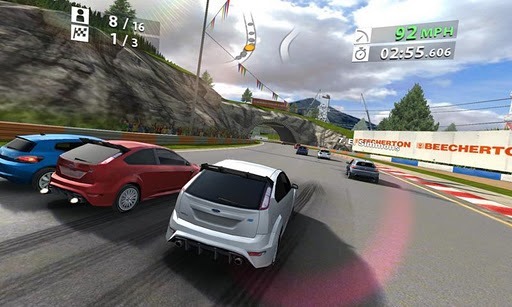 Then, Real Racing 2 was released on iOS in late 2010: it featured the same, excellent gameplay mechanics but with more cars (licensed, real-world cars) and tracks. Firemint today has released two ports of Real Racing 2: one for OS X and another for Android. This is essentially the same game that was released a year ago on iOS: you’ve got a lengthy Career Mode to go through, 30 licensed, real-world, high-performance cars and 15 tracks to race said cars in. It has standard-setting graphics and the smooth controls will leave you stunned. Trust us; we might be exaggerating a bit but the game really is as good as it sounds. REAL RACING 2 is here! Now, take the most hotly anticipated racing game ever made for Android for a FREE test drive. Once you get a taste of the adrenaline-fueled action, UPGRADE to get the total experience. Race away with 30 high-performance cars, 15 awesome locations, and an immersive Career mode! If you own or have played this game already on iOS, then there really isn’t anything in the Android version that you’re missing out on. But yes, those of you who haven’t had the opportunity to play it yet, should most definitely check it out! Real Racing 2 is available as a free download from the link embedded below. The 2MB you download below is essentially a tool that downloads the actual 450MB required to play the game. To unlock all of the game’s contents, you will have to make an in-app purchase.